While Mama Cardinal is patiently nesting on top of her eggs in the front of the house, the rest of the bird sanctuary is a flutter in the backyard. 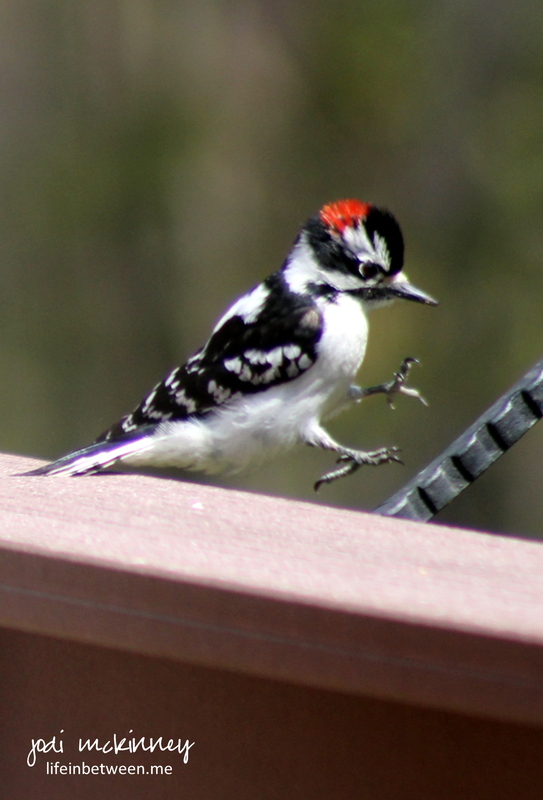 I caught this cute little Downy Woodpecker hopping along the deck railing heading for the feeder while taking turns with the others late yesterday afternoon. The “music” in my backyard is something I cannot even describe to you. Nothing soothes my soul – especially after a hectic work day or times of stress – like the music of nature in my backyard. 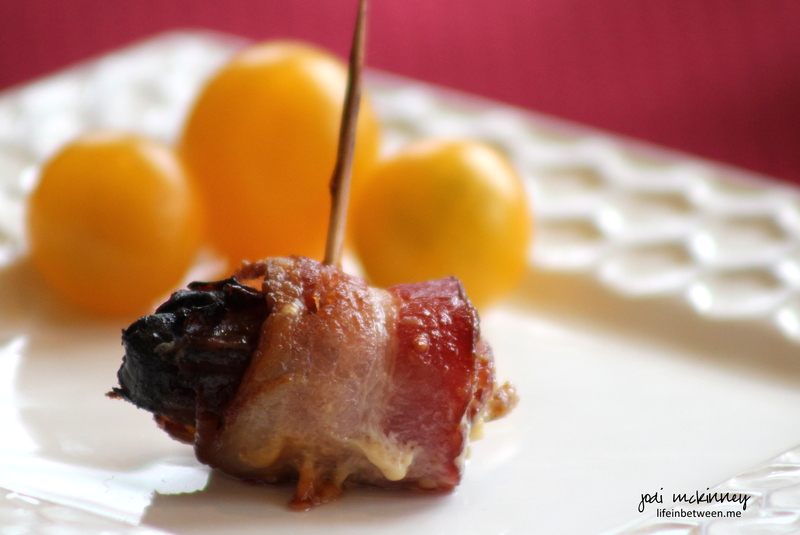 Are you looking for the ULTIMATE easy and amazingly delicious party appetizer? Well – look no further! This might sound unusual, but do not doubt that EVERY guest will love this recipe! Not only do these taste AMAZING… they are actually SUPER SIMPLE too. And even people that THINK they don’t like dates or blue cheese…. I took these to our “best ever book club” party this weekend, and I can tell you they didn’t last long. Slit date. 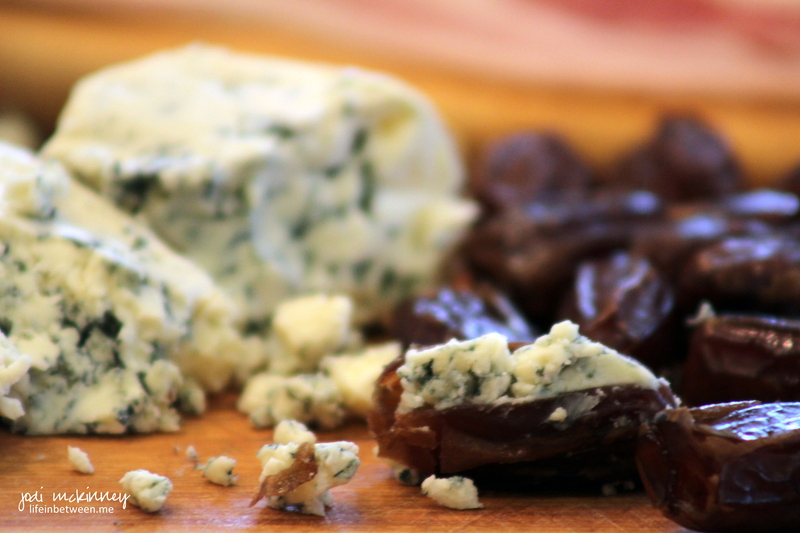 Stuff as much high quality blue cheese into the date as you can fit. Squeeze together. 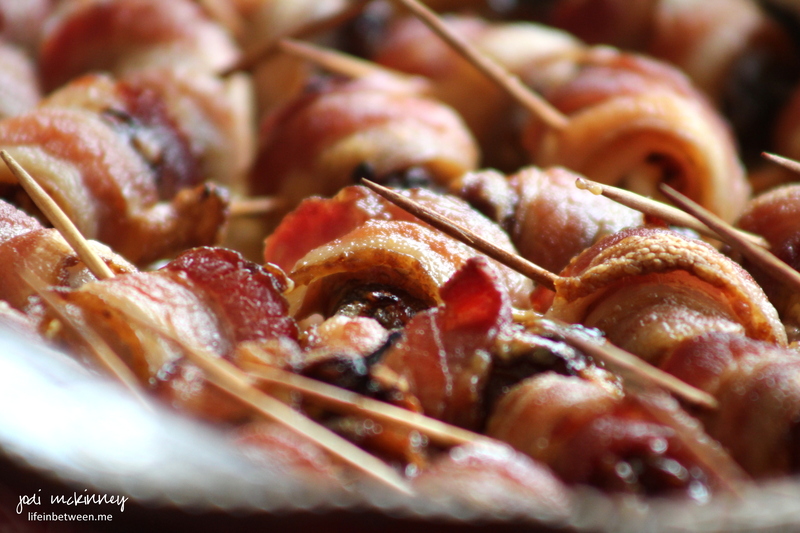 Wrap with a half of a slice of bacon. Secure with a toothpick. Bake at 400 degrees F for 30 minutes. With party season upon us, add this to your file of must-do gotta-love recipes! Remember our new neighbor I introduced you to last week? 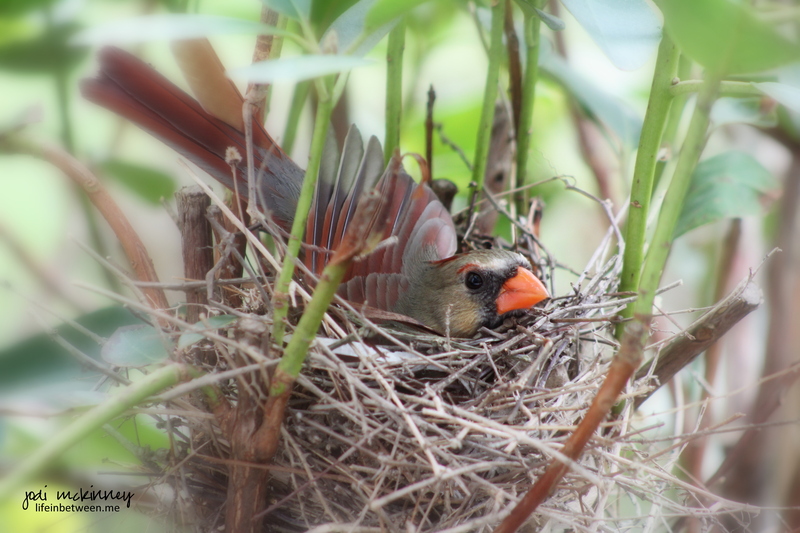 Well Mama Cardinal finished shaking her tail feathers and building her nest, and is now growing her family! And look what is in the nest now! Houston – We have Eggs. Cardinal Eggs. And a Bird’s Eye View from our bedroom window. Can you believe it?! And I hope to keep you updated. Can you imagine how wonderful it would be to capture some video or photos of the little hatched baby cardinals as they fledge?! Oh the anticipation! Stay tuned. And speaking of birds, I must share with you a beautifully-created artistic piece by one of my blogger friends, Jill from Jill’s Art Journal. And an Early Bird Bird’s Eye View from our bedroom window. Can you believe it?! Jill and some others have made a pact and commitment to draw/create/paint and then post a new bird every day for a year. And WOW, you wouldn’t believe how fun and exciting she makes it! 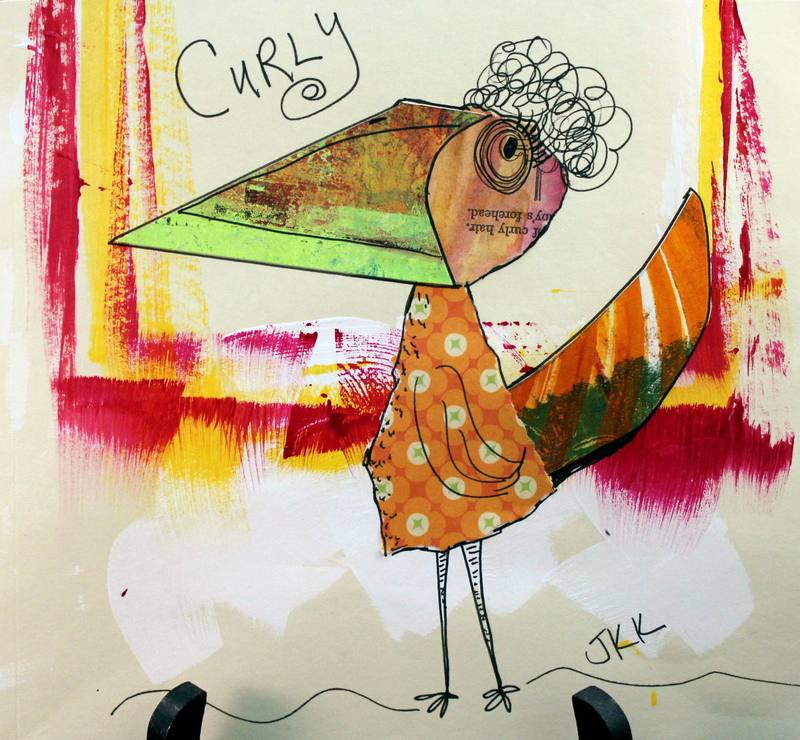 I fell instantly and totally in love with one of her drawings – a whimsical bird named Curly. And I shamelessly begged to have it. Jill was so very kind to oblige and send her to me! So all the way from the other side of the U.S. from Spokane, WA, Curly arrived this weekend in her full glory! Could you just die how cute she is?!?! Somehow, I feel she is a portrait of me. 🙂 Don’t ask me why?! 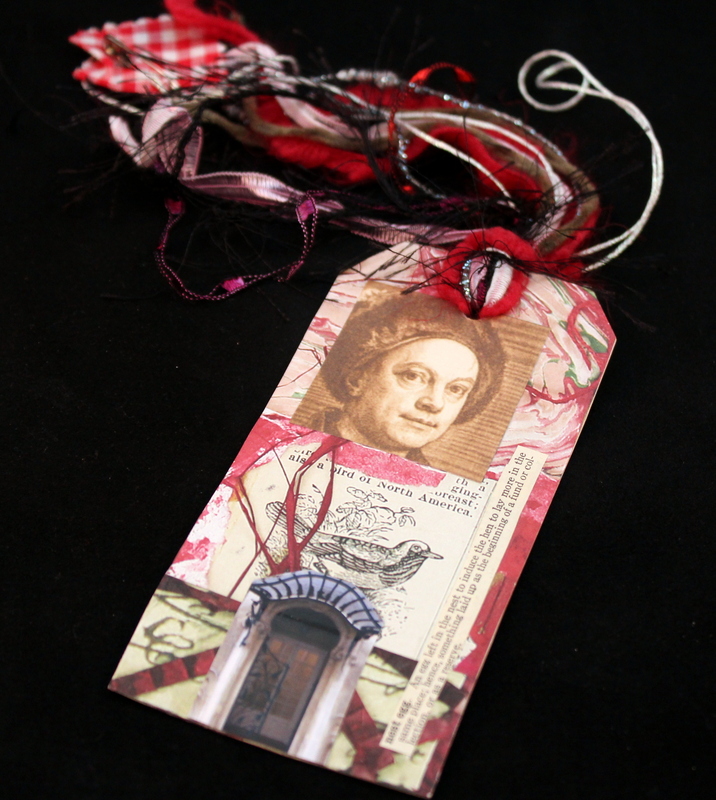 And not only did Jill send me the adorable Curly, but she put a sweet note in the package and added this beautiful handmade bookmark that featured a bird on one side…. … and a “Home Sweet Home” sentiment on the other side that Jill said she thought was just perfect for me! How sweet is that?!?! Thank you so much, Jill! I am beyond thrilled and grateful. 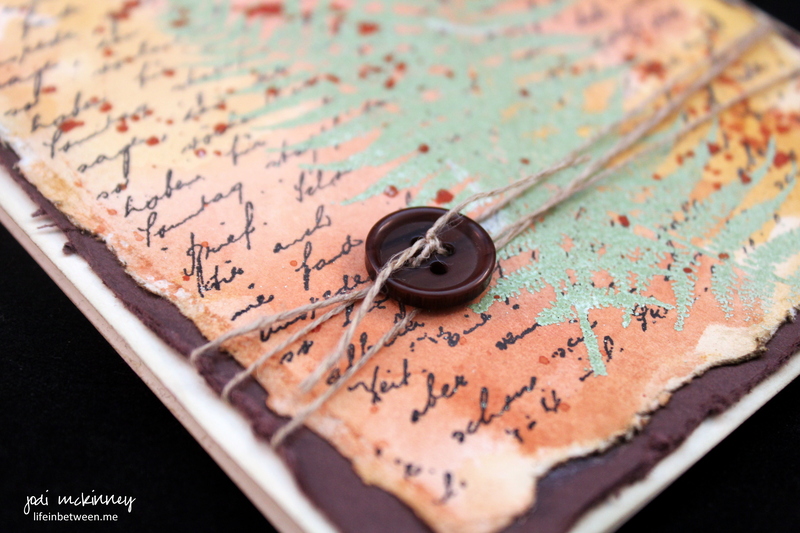 And peeps, I so encourage you to check out her blog: Jill’s Art Journal. 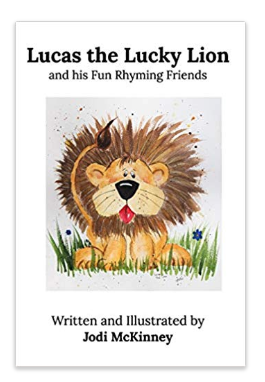 You will so enjoy her daily postings and her wildly creative talent! So I’ll be on cardinal nest watch “in between” everything else going on around here. How did it become Monday already?!? I hope you had a nice weekend. We sure did! And there is so much to share… I’m certain it will take all week. It was so great to see friends we haven’t seen for a few months, spend time at one of our favorite places on earth with some of our favorite peeps – the hosts – my cousins Joyce and ‘Oh Rob,” and drink wine and share some good food and discussion. Joyce is another one of my artistic mentors, so the poor thing hardly had a chance to open her eyes and have a sip or two of coffee Sunday morning…after a very late night…. before I started drilling her with watercolor questions. We sat in her studio for a couple hours yesterday morning (while the guys went out to breakfast) where she shared with me about the type of paper she uses, brushes and paints she likes, and a chest full of books she has used through the years for inspiration. 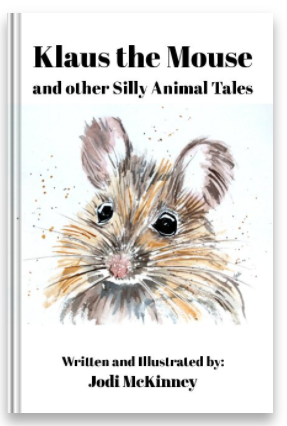 My discouraged passion was re-ignited, and I wasn’t home long before I was perusing the books and mixing paints and at it again. To top that off, we arrived home to find an amazing package in the mail from a fellow blogger – and artist extraordinaire – Jill Kuhn @ Jill’s Art Journal – with a special drawing in it that I fell in love with and an extra gift to boot (I’ll be sure to share soon!). 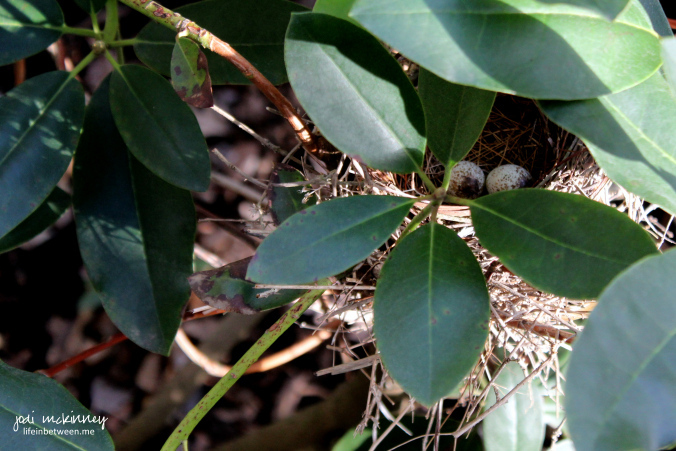 AND to top the whole weekend off ….. we arrived home to an egg in the cardinal’s nest! WOOHOO!!! The sun was shining, the air was crisp, trees are budding, flowers are bursting open, and we thoroughly enjoyed our weekend. I took about an hour to paint these two little paintings. 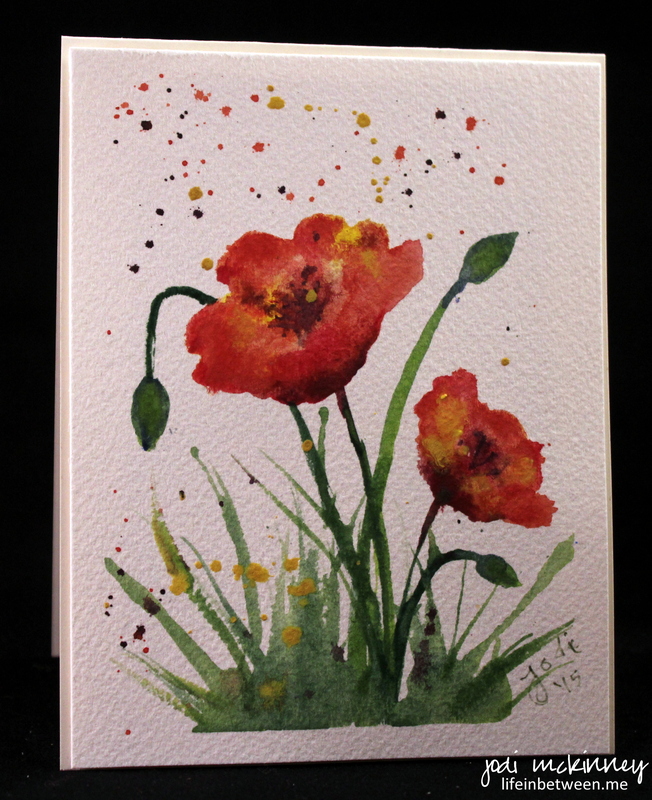 After reading through some of my newly-borrowed books and watching a YouTube video by Art TV, I did these two poppy watercolor paintings. The fun thing about these is that I did NOT sketch them ahead. 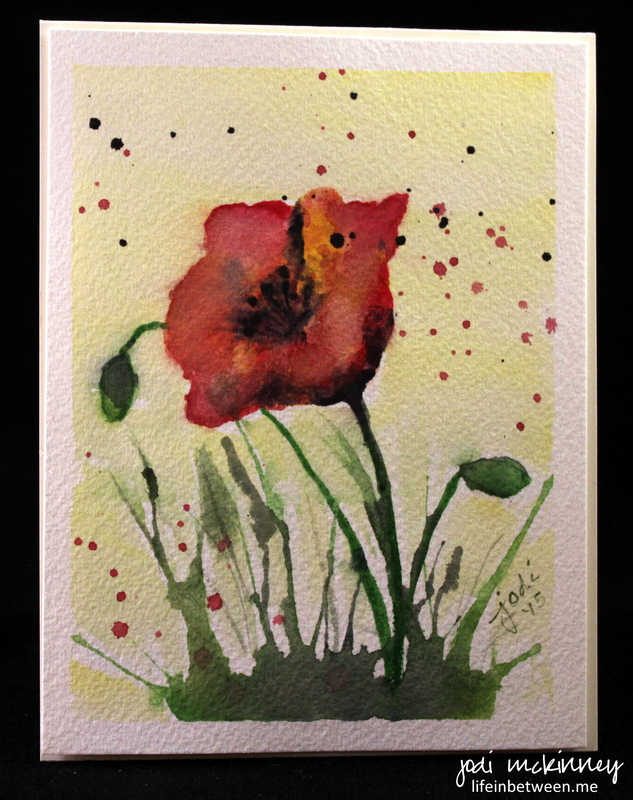 Simply took water and paint to paper and created. It was quite liberating and enjoyable! These will become thank you cards for a few special peeps I need to thank. in delicate shades of pink. 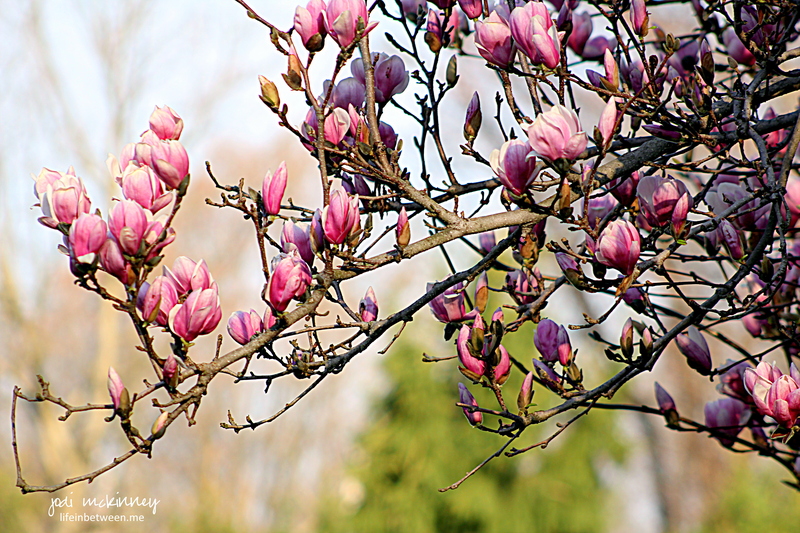 This photo is of a neighbor’s magnolia tree on an early morning walk last Saturday with my camera. Yep – this is what I made last night for a special buddy we’ll be seeing today. 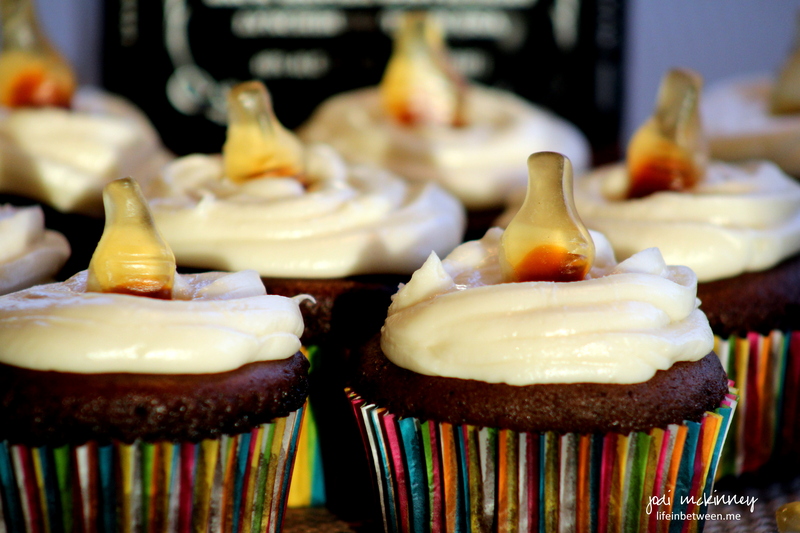 These Jack & Coke cupcakes are from a recipe I found a while back on stressbaking.com and modified a bit to my liking. Preheat oven to 350 degrees, and line 18 cupcake cups with paper or aluminum liners. Combine Coke and butter in a medium saucepan and bring to a simmer over medium heat. Add cocoa powder, sugar, brown sugar and whisk until sugars are dissolved and mixture is smooth. Set aside to cool for 15 minutes. In a medium bowl, stir together flour, baking soda and salt. Set aside. In a large bowl, lightly beat the eggs. Add cooled cocoa mixture. Stir to combine. Add flour mixture and stir until just combined. Pour batter into cupcake liners to 3/4 cup full. Bake 15 mins. until a toothpick stuck in the center comes out clean. Transfer cupcakes to wire rack to cool completely. While cupcakes are cooling, prepare ganache by melting chocolate chips, cream, butter and Jack Daniels in a small saucepan on low-medium heat. Stir until smooth. Remove from heat, and let cool completely (you can even stick in the freezer to quick cool it). Cut the centers out of the cooled cupcakes with an apple corer, and pipe ganache into the holes in each cupcake. 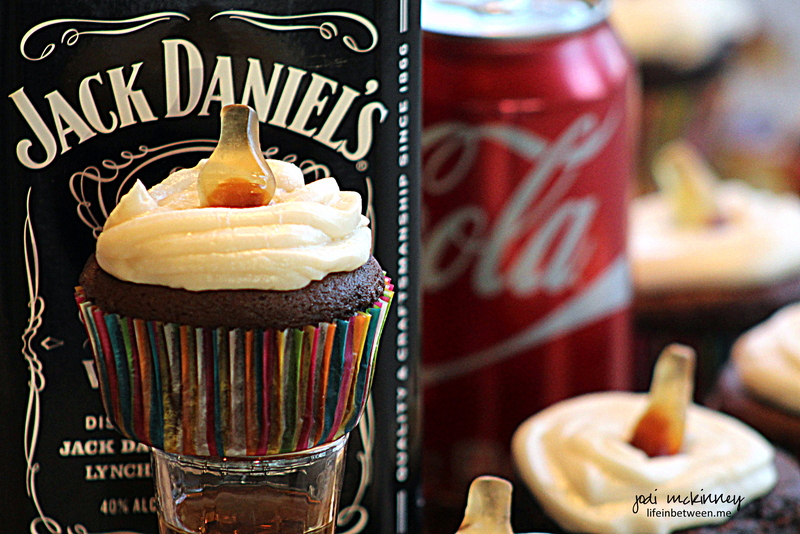 Prepare frosting in electric mixer by combining butter, powdered sugar, vanilla and Jack Daniels. 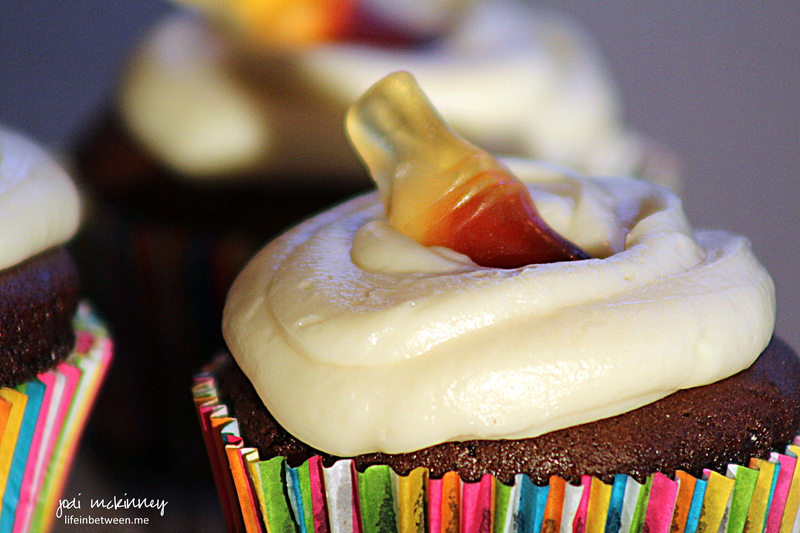 Pipe onto cupcakes as simple or fancy as you like and top with a gummy cola bottle to make it extra cute. Thanks Leslie @ stressbaking.com for a great idea and recipe! Momma Cardinal has been working for days right outside of our bedroom window in the rhododendron bush building this beautiful new home. It is sure to add value to the neighborhood! Don’t you think? I have never been more fascinated watching such diligence and perseverance as she flies in one tiny stick at a time, places it on the pile, then shakes her tail feathers to form the “cup” shape. The new home has been under construction for about three days now. I cannot believe our good fortune to have such a view of this little miracle of nature. I can’t wait to see the eggs and then baby cardinals! Can you imagine how awesome that will be to watch!?! According to Wikipedia, cardinals mate for life and stay together year-round. Isn’t that romantic?! Mated pairs sometimes sing together before nesting. During courtship they may also participate in a bonding behavior where the male collects food and brings it to the female, feeding her beak-to-beak. If the mating is successful, this mate-feeding may continue throughout the period of incubation. 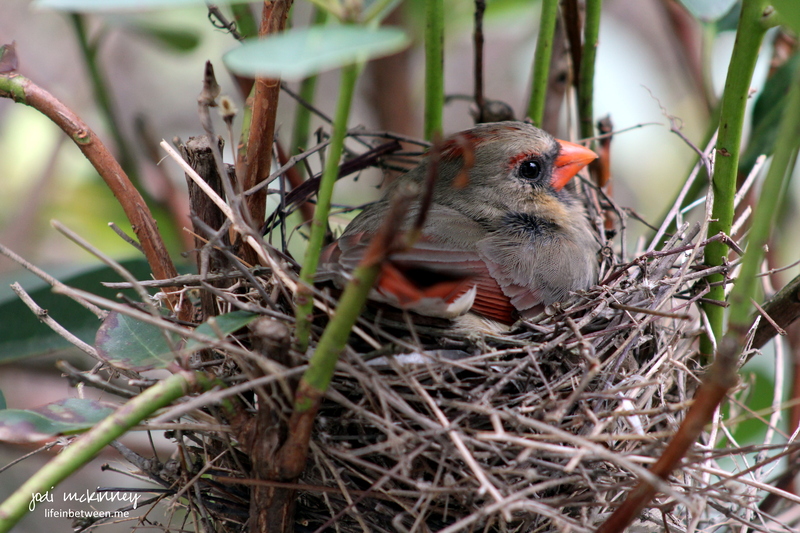 The nest typically takes three to nine days to build, and cardinals do not usually use their nests more than once. The eggs are laid one to six days following the completion of the nest. Three or four eggs are laid in each clutch. The female generally incubates the eggs, which takes 12 to 13 days. And then, the young cardinals fledge 10 to 11 days after hatching. Camera and tripod are set up, and I’ve taken about 50 kabillion photos already. I love this one of her shakin’ her little tail feathers and looking at me while she prepares to nest. Hope to share more soon. Well – look no further – Here’s the Beef! 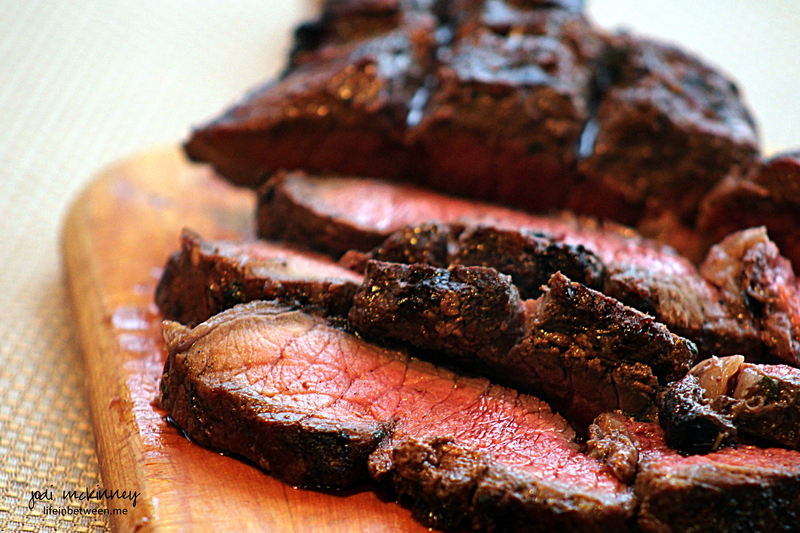 We indulge in beef for dinner about once a week; and when we do, grilled marinated London broil is one of our faves. 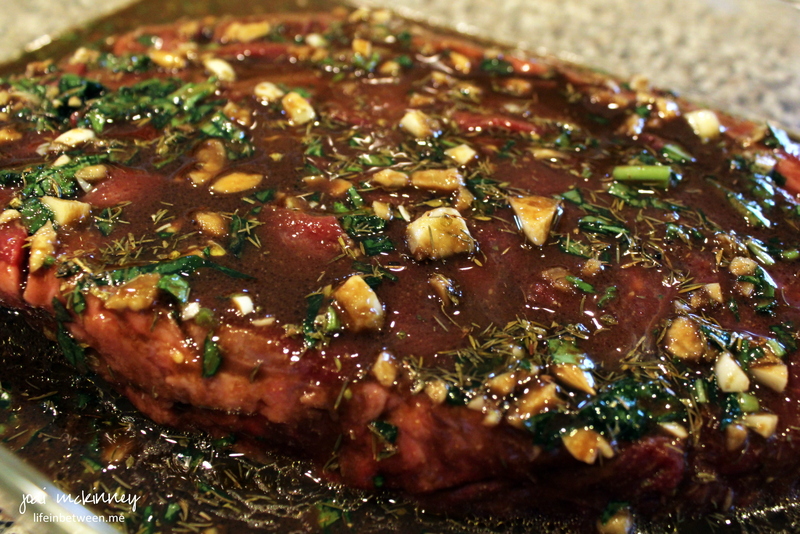 The key to a great London Broil is in the marinade. 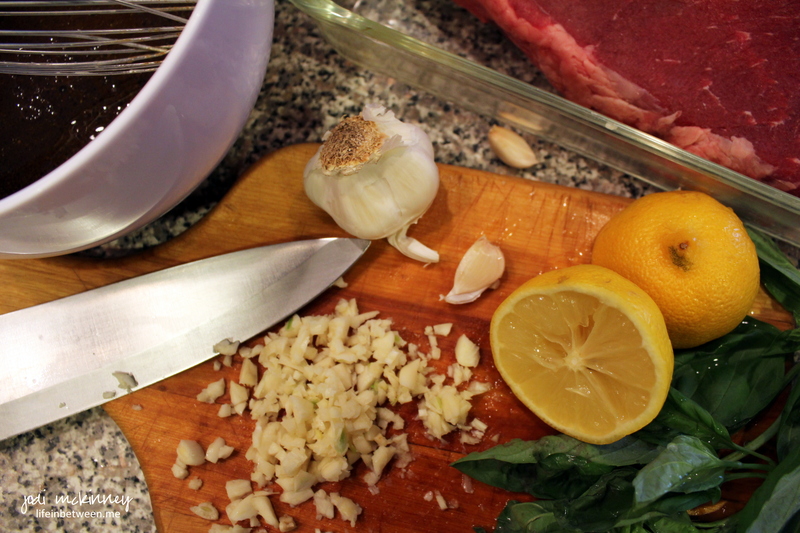 And the key to a great marinade is fresh ingredients. A few must-haves in the pantry AT ALL TIMES for me are fresh garlic (powder, granulated, chopped in water, chopped in oil… NONE compare to freshly minced garlic), fresh basil (I wish there were words to describe the smell of fresh basil being chopped! I’m sighing just trying to imagine), and fresh lemons for juicing (no bottled, reconstituted versions can be substituted!). Bottled pantry must-haves in my pantry include: olive oil, balsalmic vinegar, Worcestershire sauce, soy sauce, Dijon mustard – all of which are included in this recipe. Dried spices that are must-haves (to be used only when fresh is not at hand) include oregano and thyme. 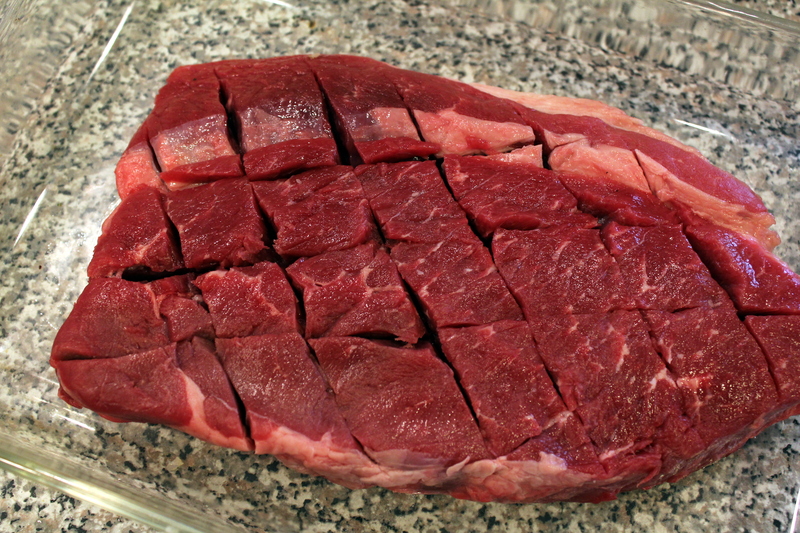 Before putting this marinade on the London broil, it is a good idea to cut vertical and diagonal slits in the beef to allow the marinade to soak in deeper. This marinade should be able to be whipped up quickly if your pantry has these items on hand at all times. Marinades not only add flavor, but they tenderize. I enjoy my “hunk of beef” with a baked potato topped with salsa and a fresh green salad. 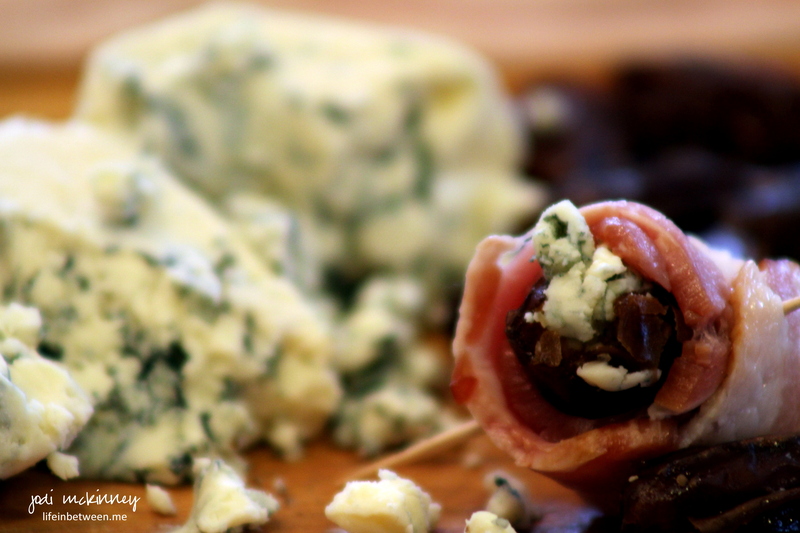 And a sprinkling of blue cheese doesn’t hurt either! This recipe was originally found on Foodnetwork.com, and is courtesy of Gourmet Magazine. Hope you’ll give it a try. You won’t be sorry! In a bowl, whisk together marinade ingredients. 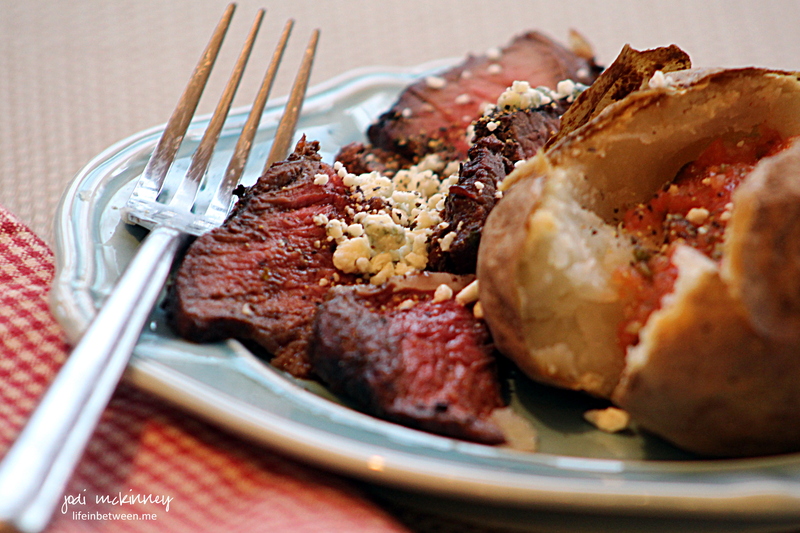 Put London broil in a large resealable plastic bag or in a glass dish and pour marinade over it. Seal tightly. Marinate in refrigerator turning once or twice, for approximately 8 hours. Remove meat from the marinade, and discarded the marinade. Transfer meat to a cutting board and let stand 10 minutes. Cut meat diagonally across the grain into thin slices, and enjoy! 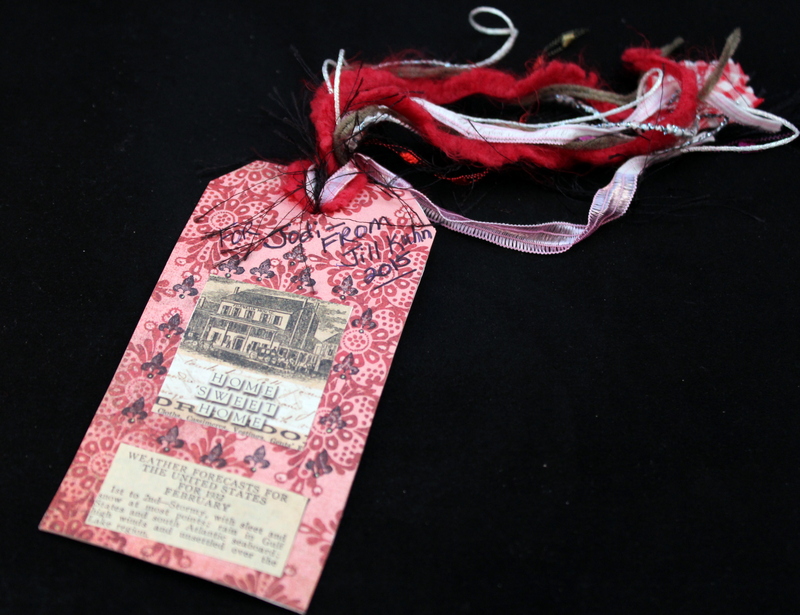 This card was one of those projects that just evolved…. I had no idea where I was going with it, but I love how it ended up. I felt like just splashing some watercolor on paper. I wanted to get “wild and crazy” and just tear the paper instead of cutting it. 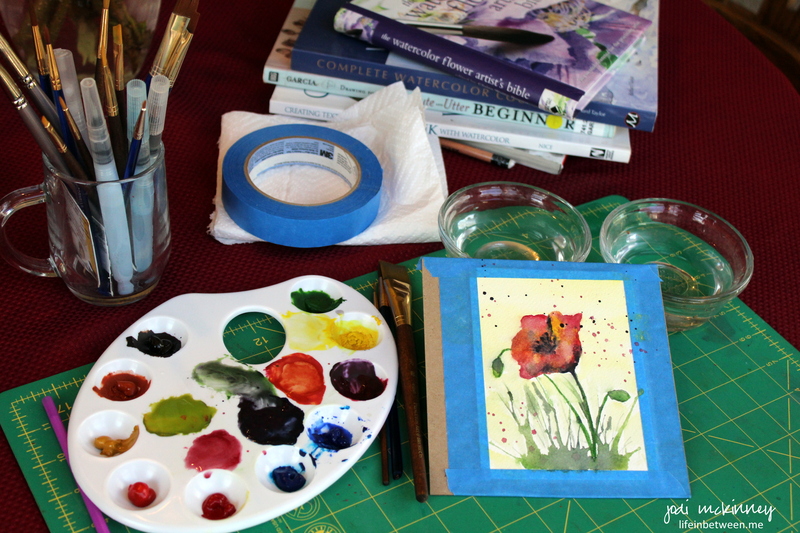 After the watercolor dried, I stamped Penny Black’s Letter Stamp on top. 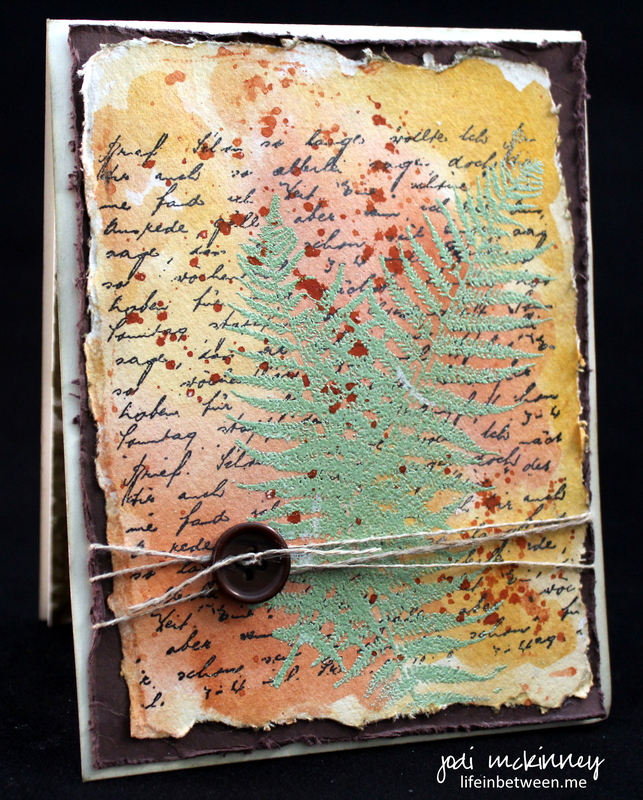 I then heat embossed Hero Arts’ ferns on top of that. and I wrapped with some SU linen thread and a wooden button. 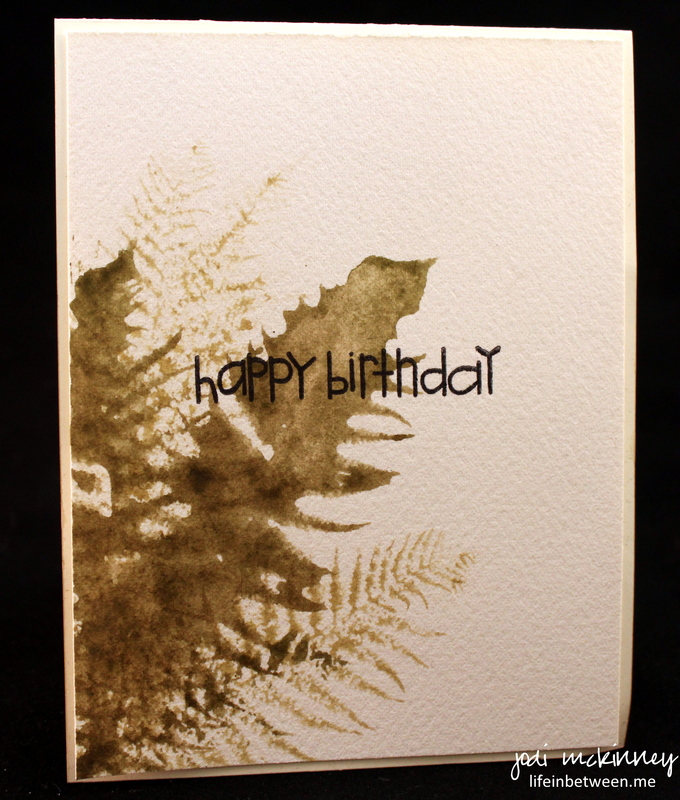 For the inside, I painted some “leftover” watercolor paint onto the Hero Arts Fern stamp. I LOVE how it turned out. Then, I used the Paper Smooches Happy Birthday Sentiment on top of it. It turned into a birthday card for a very special brother-in-law. I hope he feels the love and passion that went into each step of the creation. Happy Birthday Ron! May your birthday be as special as you! P.S. 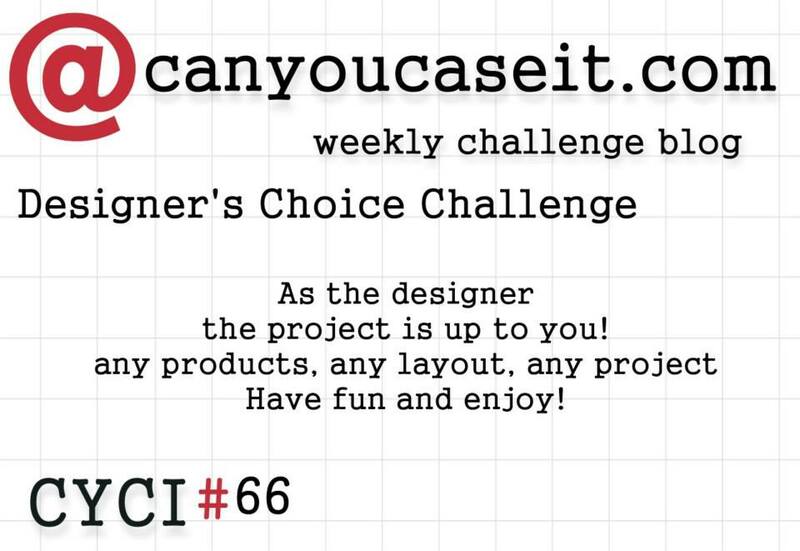 I am entering this card in the CanYouCaseIt Designer’s Choice Challenge this week (CYCI#66).